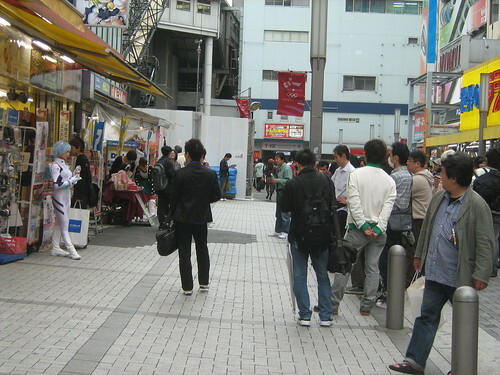 I went to Akihabara earlier this afternoon to buy myself a firewire cable. As I walked out of the station, I saw a large crowd gathering nearby. 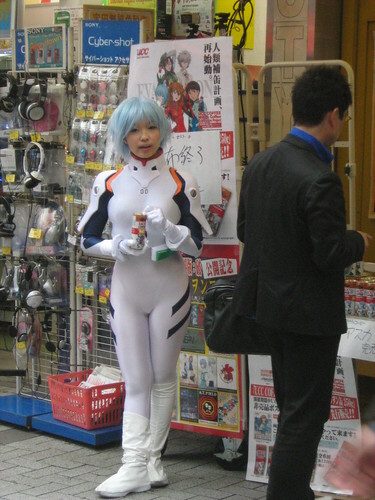 It was because of the Rei Ayanami cosplayer. 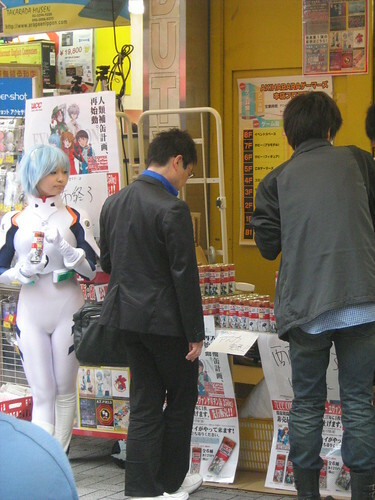 She was promoting some Neon Genesis Evangelion themed UCC coffee. Judging by the crowd who stood there to take photos of her, the promotion was a success. I'm not sure how many cans of coffee were sold though. I went on with my shopping, going to one shop after another, trying to find the cheapest firewire cable, I was horrified that places I usually go to like Tsukumo or Softmap sell these cables for more than a thousand yen. At the same time, I was also checking out the prices of camcorder because I was thinking of buying one. It was quite a strange day, I heard the Neon Genesis Evangelion theme song coming out of almost every single pachinko shop that I walked by. More than an hour later, I saw another group gathered by the street. Many were taking photos. 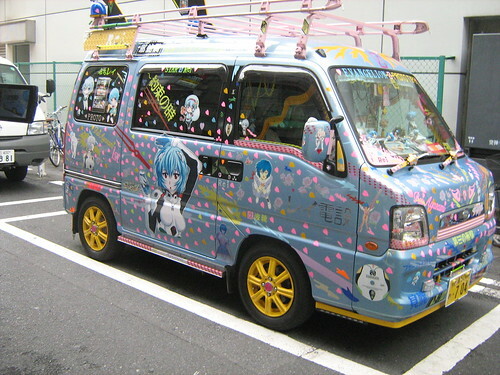 I moved in to have a closer look, and saw that it was a... Rei Ayanami car. 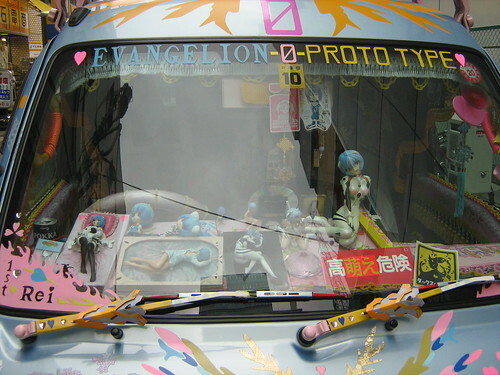 And in the cars were all sorts of figurines and toys of her. 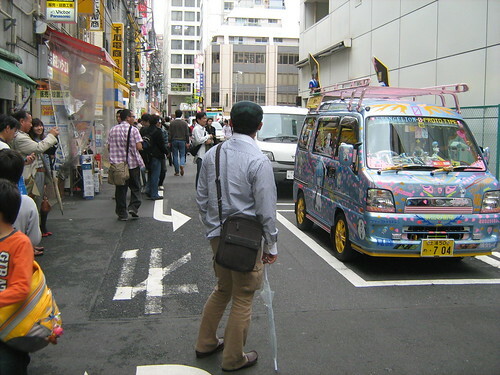 Judging by the crowd of people gathered by the car to snap photos of it, the car had to be insanely popular as well. I then found a shop that sold FireWire cables for a bit more than 300 yen, bought it, and then headed off to Asakusa to catch the Sanja Matsuri. More photos in my next post.